"ok why do people write the same thing as in the description and receive so many thumbs up? Or do the editors choose the highest rated comment and put that in the description?" You sir, are an idiot. Dont you dare pass me! You cant take me alive!! 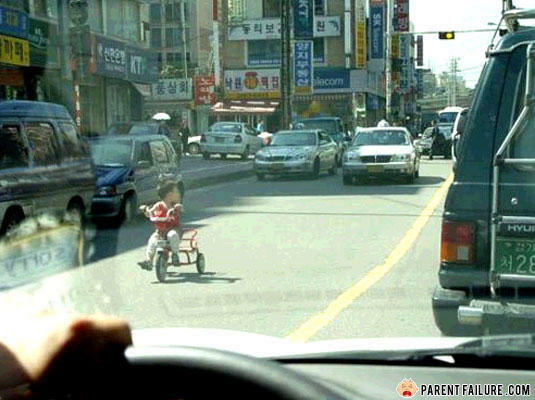 Before this: "MUMMY, I WANT TO BE ON THE ROADS, NOW!" Never saw a kid take "Go play in Traffic" seriously before.